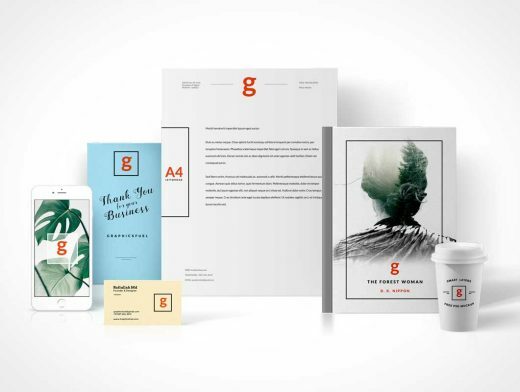 Friends, today’s design freebie is a fantastic set of visual branding identity mockup template. This is a smart-object layered PSD file that allows you to easily edit and add your own branding design. The elements in the mockup include letterhead, greeting card, hardcover book, business card, iPhone 6S Plus, Coffee Cup. Highly useful to showcase your product packaging or branding design.